Above: 'Buy to Give' this season by spoiling your loved one with jewellery that also directly helps fight against ivory poaching. The Tembo Collection comprises seven Masai bead inspired bracelets which I designed with Auree Jewellery, and every purchase of a Satao, Pembe or Shina (RRP. £50.00 - £140.00) sees 100% of the profit go to For Rangers, a campaign in conjunction with Tusk that helps the heroes on the front line of conservation in their fight against elephant poaching across Africa. A real feel good pressie. 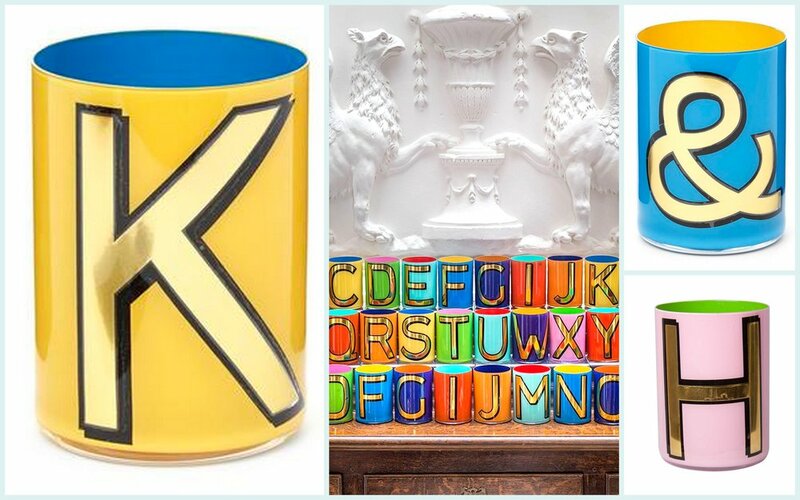 Above: Pens, make up brushes, carrots… If they fit, they’re going in one of these Pentreath Hall Alphabet Pots (RRP. £42.50). How many is toooo many?! Above (L-R): I already have a super chic, personalised Garment Bag (RRP. £175.00) from bespoke womenswear label Tephi, and now I'm after their perfect Washbag (RRP. £40.00) to match. Edge of Ember's ethically and sustainably made personalised Love Letters (RRP.£95.00) are swoonsome and look even better when stacked together in different lengths. Oh, and don't forget that all important Stocking!